Side Trips: Whitewater rafting at The Forks where the Kennebec and Dead rivers meet; Solon- Bingham Rail Trail; boating on manmade Wyman Lake;Appalachian Trail; Lakewood Theater in Madison, one of the oldest, continuous operating summer music theaters in the U.S. The Old Canada Road (U.S Route 201) leads travelers on a trip through time. In towns like Bingham, classic clapboard homes line the streets and harken back to the boom days of the 19th and early 20th centuries when lumber barons reigned over the surrounding forest. In places like The Forks, modern day adventurers gather to camp in the backcountry and raft down swift-flowing rivers. 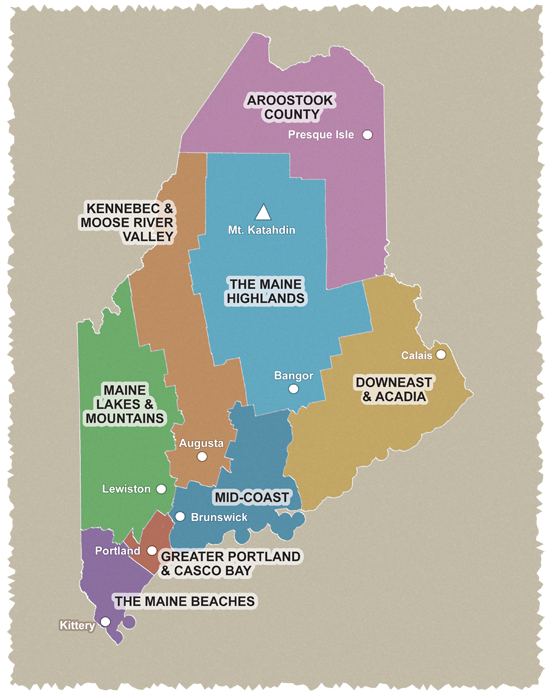 Route 201 follows old river trading routes of the Abenaki tribe. Benedict Arnold made part of this interconnected network of waterways famous during the Revolutionary War when he led a tough band of soldiers up the Kennebec and Dead rivers in flat bottom boats called bateaux, to lay siege to the French settlement at Quebec. Today, the vitality of the region is bolstered by the area’s working forests, and Route 201 remains an important trade route linking Canada and the U.S. with the international border crossing at Sandy Bay.